THE chair of Stormont’s Health Committee has accused the Department of Health of preventing MLAs from attending an “urgent meeting” into hygiene failures at the Royal Jubilee neo-natal unit. Sinn Fein MLA Sue Ramsey requested the meeting following a story by The Detail which outlined concerns surrounding the Royal Jubilee Maternity Hospital’s sinks and taps. However, the department has instead offered to only brief the committee chair and deputy chair on the issue. The health chair wanted to find out why hygiene failings identified in the Royal’s neo-natal unit months before the pseudomonas outbreak were not dealt with sooner. At a meeting of the health committee at Stormont today (Wednesday, 7th March), Ms Ramsey said that the members should have been informed about the hygiene reports instead of having to read about them in the media. She said: “What concerns me is that this committee was not notified before these reports broke in the media. We should have been alerted to the contents of these hygiene audits and I was extremely disappointed that I had to read about it in an article. Ms Ramsey released a statement to The Detail earlier this week about her request for an urgent meeting. She said: “I had assumed that all members of the Health Committee would be welcome to attend that meeting given that this is a matter of significant public interest. However, the department were seeking to put restrictions on who could attend the meeting. “That was unacceptable to me. 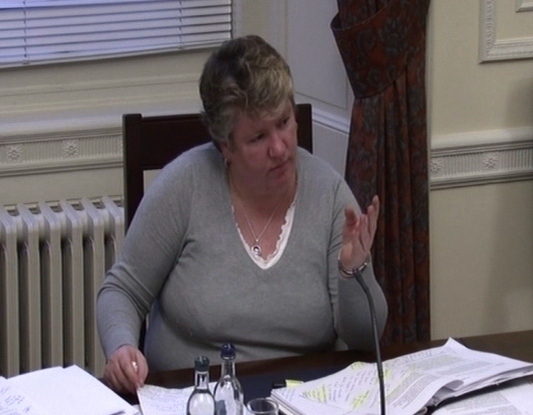 Committee members need to have access to this information to undertake their scrutiny role." A spokesman for the DHSSPS said: “As is normal practice, the department has offered to brief the chair and deputy chair of the committee on this issue. This offer remains open. “However, we would not wish to risk inadvertently undermining or compromising the independent review as established by the Minister, and its primacy in considering all of the circumstances of the outbreak. Sink taps emerged as the source of an infection which killed three babies at the Belfast hospital. On the 6th January, a baby died in the RJMH from pseudomonas infection; then on13th January a second baby died of the same infection. A third baby died as a result of the infection the following Thursday – January 19th. Internal hygiene audits requested by The Detail for RJMH’s neo-natal ward show that a sink “needed cleaned” and was failing in one of the neo natal’s Intensive Care Unit’s bedded areas, on the day of the first baby’s death. Reacting to the news, Ms Ramsey said earlier this week: “I have asked officials to get me a copy of the internal audit and if it is the case that these hygiene failings have been overlooked then there are serious questions to be answered." The neo-natal ward is a “very high risk ward” and under health service protocols should be inspected on a weekly basis. Each week the neonatal ward was consistently passing their audit overall. However despite the pass rate, specific concerns around the ward’s sinks can be traced back to August and October last year. Failures around the sinks only became a regular occurrence from November onwards. On the 4th November 2011 the inspector noted that the sink in the bedded area of the neonatal Intensive Care Unit “needed cleaned” and subsequently failed the inspection. Out of a possible score of 1.0 it gained 0.0. Again on the 25th November, sinks were once again a source of concern: it was noted that with the sinks in the store of the Special Care Unit the “overflow needed cleaned”. On the 30th December sink failures were noted twice, both because of a ”build up” within sinks in the unit’s bedded areas. This was just seven days before the first death. On the 6th January the sinks in the bedded area of room 1013 of the intensive care unit failed because it “needs cleaned”. This was the same day the first child died as a result of the pseudomonas infection. Another baby died on the 13th. Three days after the second death – on the 16th January – results confirmed that the two babies that had died of the same strain of pseudomonas in the same unit. The Trust met on Tuesday 17th January to discuss these results and declared an outbreak two days later – the 19th. The third death occurred that evening. Despite the clear awareness right through the health service of a major infection outbreak in the unit at this stage, hygiene audits from the 23rd January show that the sinks in the bedded areas of the neo-natal ward were still failing – this time because “labels needed removed”. A day later, on the 24th January, Health Minister Edwin Poots told the NI Assembly that the Pseudomonas bacteria had been traced to taps at the neo-natal unit in the Royal Jubilee Maternity Hospital. Other areas of concern identified in the neo-natal ward’s audits since November highlighted blood within the light fittings of the ICU and waste receptacles being badly cleaned. The cleanliness of the ventilation grilles were also a recurring source of failure. Meanwhile The Detail has seen responses from the trust to a Freedom of Information request connected to the pseudomonas outbreak. Responding to a question asking if the first outbreak on January 6th was reported under Serious Adverse Incident protocol, it appeared to suggest that the first pseudomonas outbreak had actually occurred in the Trust a month earlier. The statement does not confirm where this outbreak occurred. According to the trust, although the first death was on the 6th January, confirmation of an outbreak was not received until the 16th January and a “full range of infection prevention and control measures were introduced immediately.” These included some non-routine cleaning such as the deep clean which was publicly announced, but no staff were swab tested. Instead they were notified about a range of actions they should take to prevent the “spread of the infection”. Pseudomonas is a bacteria that is found in soil, in water and in damp places and environments in particular. The Health Minister Edwin Poots recently announced that since 2008 there had been 26 deaths registered in Northern Ireland where pseudomonas was mentioned on the death certificate. The Department of Health issued The Detail with a breakdown of these figures by hospital. We asked for a further breakdown of these figures including clarification of what wards the deaths occurred on, but citing a duty of confidentiality owed to the deceased, the Department refused. At a previous Health Committee meeting the Department said that the majority of the deceased were over the age of 45, and the vast majority of those were over the age of 65, with multiple abnormalities. Some of the deceased were extremely elderly, he added. Only one death was connected with a child under the age of one year. Over the period 2008 to 2011, 80 to 95 infections were associated with pseudomonas. In 2008, 10 people died as a result of pseudomonas. In 2009, three people died. In 2010, a further 10 people died, and in 2011, three people died. Already this year, three babies have died in the neonatal unit. The Department has said that the statistics for 2011 and part-2012 are provisional until the publication of the relevant Annual Reports of the Registrar General. It has also said that some deaths will be referred to the coroner and will therefore not be registered until the Coronial process has been completed. In a previous story we reported that Northern Ireland’s independent hygiene and infection regulator, the Regulation & Quality Improvement Authority (RQIA), had never inspected any of Northern Ireland’s neonatal units. However at the end of January the Health Minister asked RQIA to undertake a review of the circumstances contributing to the occurrences of pseudomonas infection and colonisation within neonatal units in Northern Ireland. The review team will be chaired by former Chief Executive of the Health Protection Agency, Professor Pat Troop who will provide the Health Minister Edwin Poots with an interim report by the end of March 2012, with a final report presented to the Minister in late May 2012.